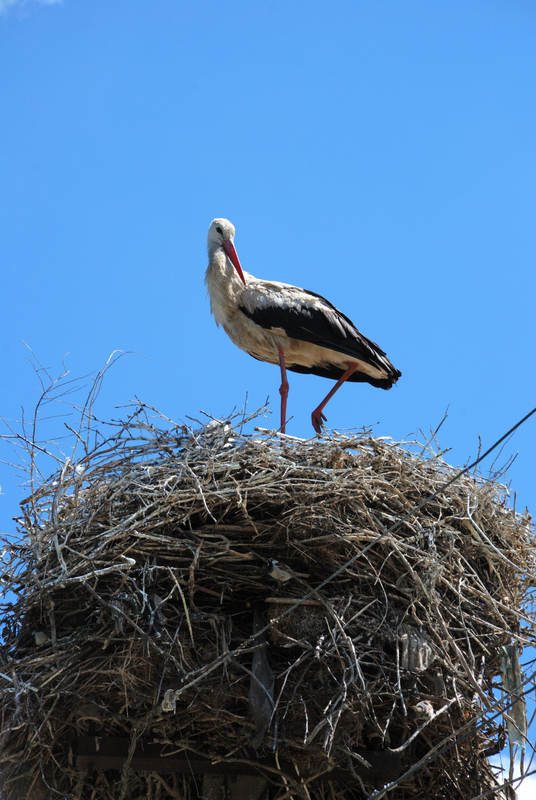 Stork atop empty nest. Not-so-subtle subtext intended. My kids just went back to college after their Thanksgiving breaks and they’ll both be home in two-and-a-half weeks for a month or more. Their presence will refill the house with food and friends and football and ample noise, all of which I will enjoy. But, it will also mess with the empty nest mojo I’ve collected, stored and learned to love over the past few months. And now I wonder—how do they live with people around all the time? Take note, I never lived alone. I commuted to college and lived in the house where I grew up, with my brother and parents, and lived there until I got married. Not something I’d recommend, but something for which do-overs are not available. The truth is, I didn’t want to move out and live alone. And now? I’ve gone over to the other side. Let’s choose a cliché, shall we? I got into a groove, found my mojo, came to grips, saw the light. Whatever you call it, it was painful at first and then it felt fine. Even good. It’s not that I don’t miss the not-so-little darlings. I do. But not the way I thought I would. I can go to bed at nine and no one says, “Are you kidding?” I always say I’m getting into bed to read but this is secret-mom-code for snoring within six minutes, do not dare wake me. I watch much less TV. I think I enjoy watching TV with my kids and therefore the litany of shows don’t get watched. Unless of course it’s General Hospital or a Hallmark Christmas movie. Do. Not. Judge. I eat dinner for lunch and popcorn for dinner. There is no guilt in messing with a family meal when the family in question is moi! I will cook for myself, but often midday as a break from writing and editing. That’s when I’ll turn on the TV (yep, there’s one in the kitchen) and putter a bit. By nighttime I want my hair in a clip and something in a bowl I can likely eat with my fingers. Dry Cheerios work too. I can read my work aloud without someone asking who I’m talking to, and then saying, “Oh right.” I can also flail around a bit more figuring out how to write certain character movements and actions. I call that Method Writing. I make my own schedule. College kids don’t require a schedule but when there are other people around there are accommodations made for them, and in return. If someone is sleeping, we’re quiet. I don’t cook food if the smell is offensive to someone else (daughter doesn’t like curry, or fish). We remove other’s clothing from the dryer. We see if someone needs something from the store. Not Any More! Not that I mind—ever—but it’s kind of liberating to go to Walgreens and NOT wonder if someone else needs deodorant. I realized that my primary designation as Mom (or Momma, as my daughter calls me) hasn’t changed a bit. I’m still a mom first. To them and to me. That’s who I am. I just don’t have to do mom things first all the time anymore. This was a big revelation for me because all I ever wanted to be was a mom and a writer. Sushi is affordable when ordering for one. ‘Nuff said. Inherent privacy. There is little privacy for a single mom with two kids and two dogs. Once the kids were old enough to not want to know every time I went to the bathroom, the dogs figured out the tile floor was the coldest in the house. I couldn’t go anywhere alone. Now, everywhere in the house I am alone. I don’t have to go in another room to have a private telephone conversation or talk to a client. I can use speaker phone. This is huge. I worry less. Before my son went away to college my cousin told me that if I don’t hear from the university, the police, or the hospital, then he’s fine. I took that advice to heart. I sleep like a rock when my kids are away, and when they’re home I wonder where they are and what they’re doing and when they’re coming home. I also wake up throughout the night. Luckily they are amazingly tolerant and touch base with me when they’re out, and when they get home. Check out my new freelance editing site! Making the page a better place—one em dash at a time. I never had kids in the house, but the last few years of living alone have been wonderful. I will confess it here as a band of solidarity–I, too, love the sappy Hallmark Christmas movies. I know! What is it with those movies? They are all the same! Yet, I’m hooked. I do love seeing the has-beens fill the screen, that’s for sure. Love this. Love the kids, but looking forward to my empty nest next year! I loved the shot at the end. I’ve also just written a blog post about my somewhat empty nest syndrome. And even though I still have one teen, two dogs and five cats instead of four crazy kids, so much of what you say is true for me too. Sushi for two: it’s possible!! This must be nice. Although we are a small household, just the three of us, I often long for the quiet, privacy, and choice for dinner. I could also do without the constant need for me to cook, clean, entertain, etc. Yep, that’s it Vy. I like just taking care of me, even if it’s just in small doses. Oh, Amy, you just gave me something to look forward to, as I’m starting on the college search process with our youngest–I’m so glad to know there’s light on the other side of this particular tunnel!! Mine just left yesterday. A whirlwind of activity—cooking, washing clothes, preparing extra coffee in the morning, Black Friday clothes shopping with daughter, preparing a Thanksgiving leftover care package for son, who goes to school driving distance away, corralling daughter to make it to the airport on time, and, yes, buying deodorant. I miss them terribly, but I too must confess that I feel some parts of my life—especially the thinking and writing part—are put on hold when they’re here. We’ll see how much writing gets done during winter break! I’m concerned about winter break too, Densie. I have tons of work for December in addition to finishing up the revisions on my novel. I’m going to have to find a quiet spot here somewhere, as I can’t write anywhere else but home. Thanks for the inspiration from ‘the other side’! My youngest leaves for college next summer. I was worried about the empty nest until now! Maybe even looking forward to reading out loud and eating whatever and whenever I want!! Thanks, Amy! As one who is still knee deep in kids and fighting for writing and me space, I get a bit envious. At the same time, I can’t imagine a time without my kids. I believe its like my mum said, they aren’t born teens, you grow with them through each stage. Still, empty nest terrifies me. Believe me, Sarah, the fact that my kids were able to go to college, and embraced the idea of going off their own makes me very proud. We do grow up with them, but this leaving thing is harder for us than them. But you’ll do fine when it’s time, because it will be time. This was a lovely post. My nest has been empty for a long time and once I Learned to Love It, I truly did. Even now, though–when grandkids are in their teens and the house really IS full when everyone comes home–there’s a pocket of lonely when they leave that has to fill itself up again. I don’t have children, but I do have a husband and tho i love him dearly, when he has a gig out of town, I dance a jig. What is it about having the house to yourself? I don’t know, but your post is pretty close to the full answer. And General Hospital? Been watching it off and on (mostly on) since I was 12. This year has been particularly great with all the “old” people coming back on. The best is watching it on DVR while finger-eating dry Cherrios just before bed. I love your post … this coming from a quiet, kidless (but furry-friend-filled) house. We had lots of houseguests for Thanksgiving and I could. not. wait. to get my peace and quiet back (mind you: I AM an extrovert and very social, but all the reasons you are happy to be living home alone are the reasons I couldn’t wait for company to leave. Ha ha). Glad you got your groove on as an empty nester. That’s what I said to my kids at the Thanksgiving table. Glad you’re here, and I’m be glad when you leave, and then glad when you’re back again. I hear ya, Melissa! Enjoyed your post on the empty nest! Only four-legged children have filled our nest, but with a Pisces Moon, my emotional refreshment comes from periods of solitude, quiet, water, music, and I love wind chimes sounding in a gentle breeze. This time is good for you! I too am a Hallmark movie gal! What fun it would be to watch a flick without my sons saying my movies on that channel are so boring because everything always has a happy ending and there’s not enough action. Sigh. I’m about to go the other direction: Had lots of time to write and quiet time to think, now, husband is retiring and will be home. We’re partners and love to do things together, but what will happen to my home alone writing time? I must adapt….somehow. 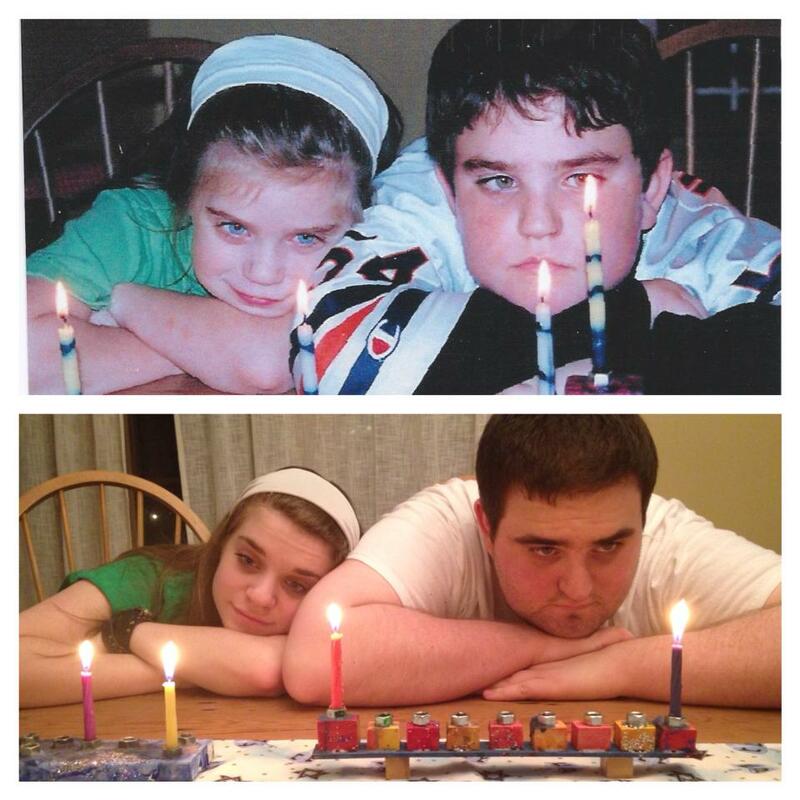 The first Christmas my oldest daughter came home from college was a nightmare for me! I’d ‘adjusted’ to just one teenager left at home, had the (wrong) assumption my daughter would be an angel and come home at a decent hour during her college holiday vacation. One night when she went out with friends and borrowed my car, I wake up at 3 a.m. to use the bathroom (she KNOWS I always get up during the night!) see my wonderful daughter is not home… and panic!!! I can’t go look for her, she has my car. I have to call my ex-husband (scary for him at 3 a.m.) and ask him to drive around and find our daughter. Hopefully not in a snowy ditch. I also called her friends parents, who were great and totally understood – and they found her, chatting away in a parking lot with a friend. I wanted to wring her neck when she came home!!! Yes, she probably stayed out til 3 all the time at college. I just didn’t have to witness it. Love this post, Amy. I’m so happy you’re happy! I love my alone time, too. I’ve finally admitted that I’m an introvert, despite my efforts to pretend to be an extrovert. It’s not that I don’t love my kids . . . but this gives a different kind of hope.